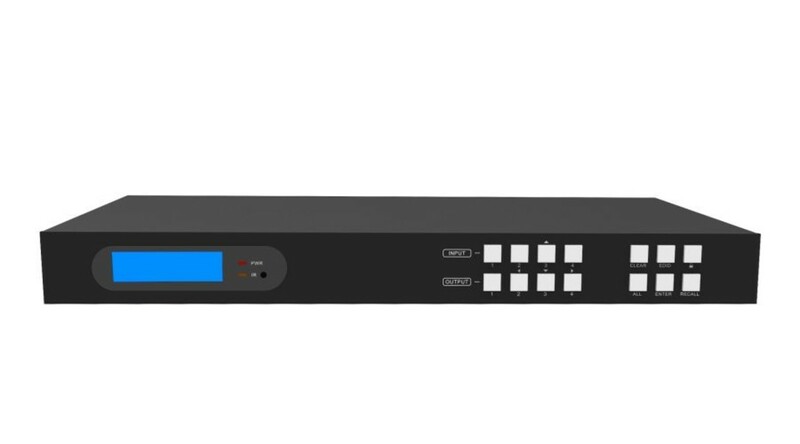 4x4 and 8X8 HDMI to HDBaseT matrix with HDMI 2.0 and HDCP 2.2 support, HDBaseT and HDMI outputs. 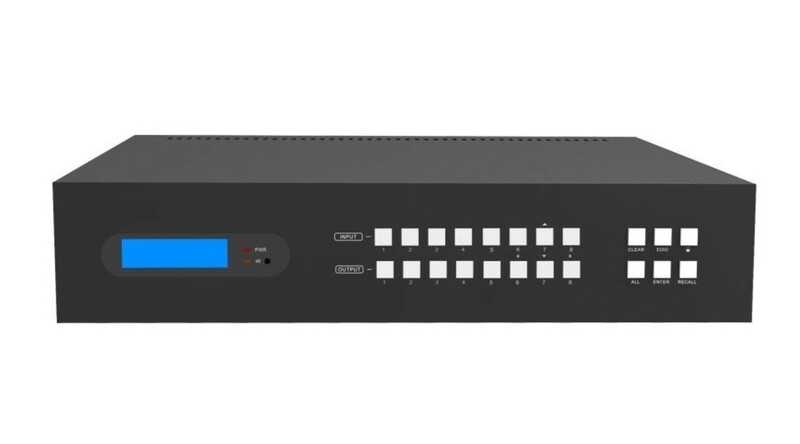 It can transmit4K@60Hz 4:4:4 HDR video up to 131ft/40m and 1080P up to 230ft/70m over a single CAT5e/6 cable, it support audio de-embedded form input and output side, and bi-directional IR, RS232 extension. Multiple control by buttons, IR, RS232 and GUI. 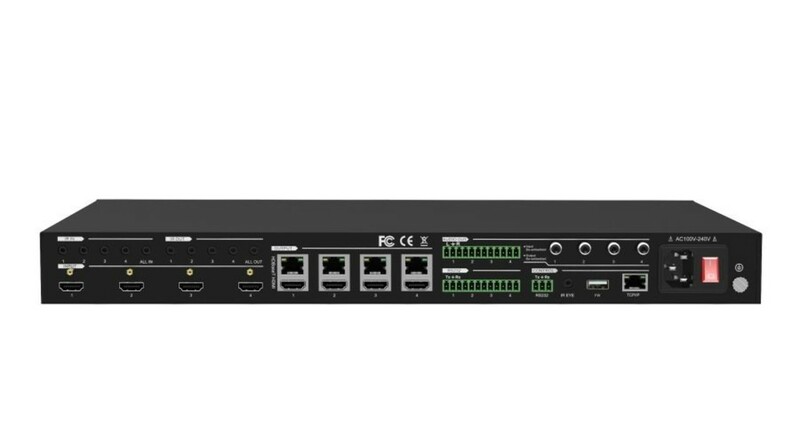 ● Supports HDMI 2.0, HDCP 2.2, CEC. ● Supports 4K@60Hz 4:4:4 HDR video up to 131ft/40m and 1080P up to 230ft/70m. ● 2-way IR and RS232, PoC for the receivers. ● Stereo audio de-embedded from inputs, digital audio de-embedded from outputs. ● Controllable via front panel buttons, IR, RS232 and TCP/IP (GUI). 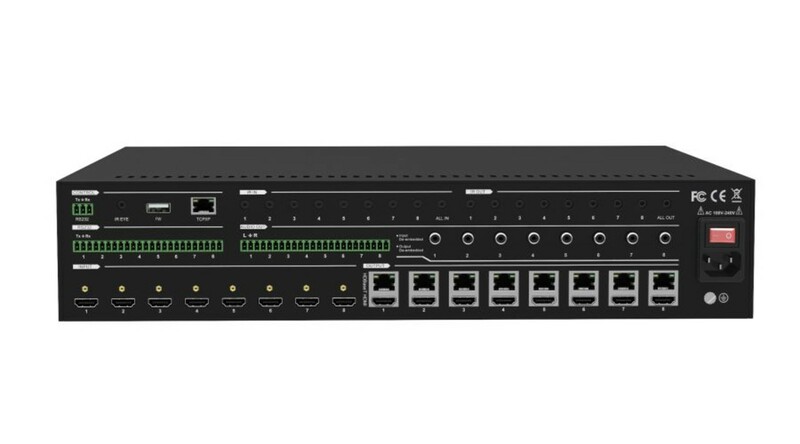 Receivers are included with the Matrix switchers. is owned by AVDIS BV.